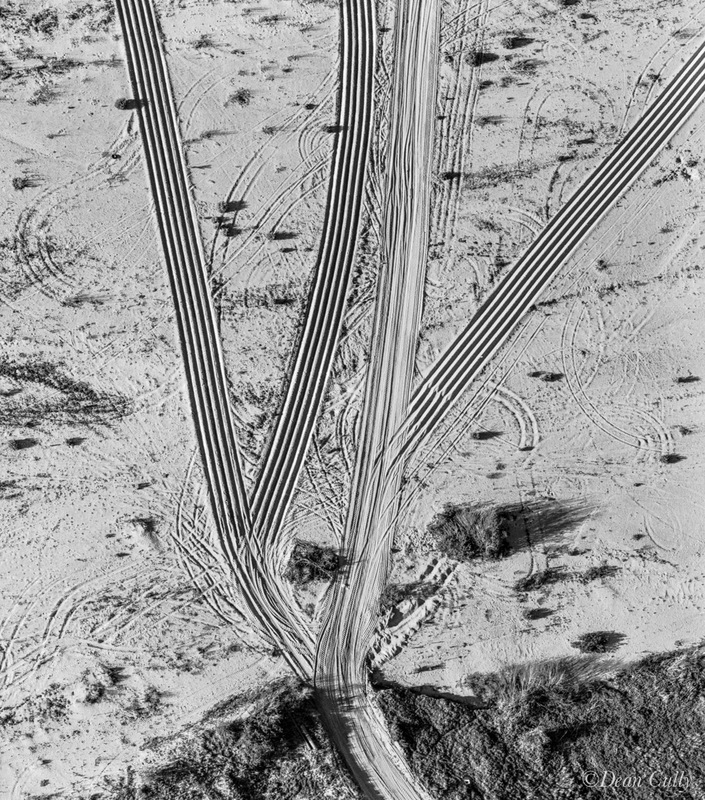 Santa Maria River Bed, Farm Implement Tracks; circa 2003. New Times SLO Winning Images 2004. First Place Land/Seascape B&W. Tractor drivers pull their ploughs through the coarse sand of the Santa Maria river between fields on either side of the river and line between Santa Barbara and San Luis Obispo Counties in order to clean and polish the discs; medium format film.